Half the fun in flipping through celebrity tabloids and society magazines lies in speculating who’s had ‘work’ done. • Megan Fox is ‘foxier’ after having surgical procedures that have taken her to the pinnacle of Hollywood beauty standards. • Lindsay Lohan is a controversial actress who looks about the same age group as her mother, Dina. • Katie Price, a British reality TV star, is as ‘real’ as a drag queen. • Preity Zinta is decidedly ‘pretty’ after all the work she’s had done. • Marcia Cross of “Desperate Housewives” manages to act without the need of facial expressions. • Anna Wintour, the intimidating editor of American “Vogue,” somehow appears to be smiling all day. 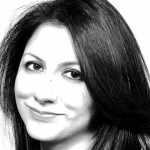 • Nadia Hussain, is one among many Pakistani women (and men) prematurely turning to Botox. • Shane Warne, the Aussie cricketer, traded his sun-damaged complexion for a wrinkle-free, shaped eyebrows look when he started seeing Elizabeth Hurley. • Meg Ryan, Hollywood’s “Sleepless in Seattle” sweetheart who ditched her cutesy pie image for a taut-skinned, pouty look. • Lisa Rhinna, TV actress married to Harry Hamlin, has lips big enough to, well, play a trombone with. • Melanie Griffith, starlet married to Antonio Banderas with a history of cosmetic surgeries. • Elizabeth Hurley, who went from the small mouthed, bushy browed girlfriend of Hugh Grant, to a voluptuous style icon with generous lips and cleavage. • Kangana Ranaut, just one of the many Bollywood actresses who’s image has gone from lean and mean to over-sexed. • Shilpa Shetty Kundra, Bollywood actress and former “Big Brother UK” winner, allegedly upgraded her bottom after completing facial and breast procedures. • Nicole Austin aka Coco, adult glamour model married to Ice-T, claims that she was born with her gargantuan rear end. • Kimberly Kardashian Humphries, reality show queen, recently provided an X-ray on “Keeping up with the Kardashians” to prove that her massive derriere was all-natural. • LaToya Jackson, Michael’s sister who shares a familial love of cosmetic surgery. • Kimberly Jones aka Lil’ Kim, petite rapper with a daring sense of style, is a ‘lil’ too fond of the surgeon’s scalpel. • Tara Palmer-Tomkinson, British socialite, also owes her damaged nose to excessive cocaine snorting. • Tori Spelling, former “Beverly Hills 90210” star, enjoys his-and-hers cosmetic enhancement procedures with her husband, Dylan McDermott. • Victoria Beckham, former Spice Girl and David’s wife, went from a 34 A to a 34 D, then wisely reduced it to 34 B. • Tara Reid, “American Pie” actress, upgraded her look with cleavage and simultaneously downgraded her acting career. • Catherine Zeta Jones, Oscar-winning Welsh actress in Hollywood, went from a “Darling Bud(s) of May” (her UK TV show) to a sultry-eyed glamazon. • Paris Hilton, American socialite, was left with one squinty eye after her eye work in Brazil went literally awry and left her with a naughty expression. • Priscilla Presley, Elvis’ widow, has features that have been ‘all shook up’ by plastic surgeries. • Urmila Matondkar, Bollywood actress, had a surgical makeover that included very full cheeks. • Phoebe Price, professional paparazzi poser, has virtual éclairs in her cheeks. • The Minogues, Kylie and Dannii, still look like sisters in their identical cosmetic procedures. • Hilary Duff, actress, eschewed her slightly hefty “Lizzie McGuire” tweeny build for a more angular Hollywood look. Scariest – These take the cake—no description required! • Jocelyn Wildenstein aka Catwoman, American socialite, has spent millions on her infatuation with plastics. • La Duquesa De Alba, Spanish aristocrat, recently gave up her personal fortune to marry her comparatively young beau despite her fondness for expensive surgical enhancements. 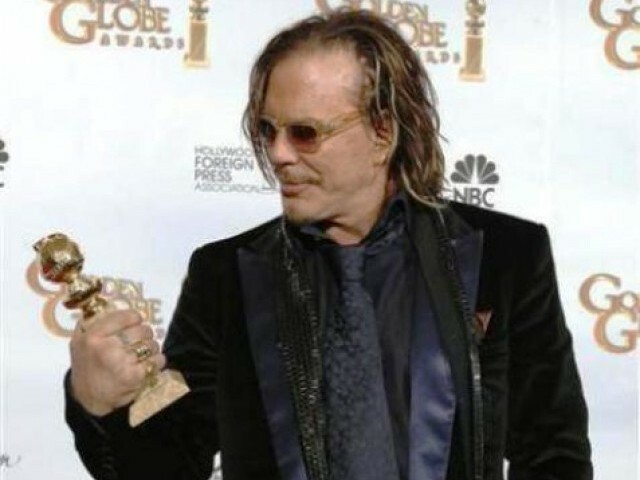 • Mickey Rourke, Oscar winning actor, went from “9 ½ Weeks” suave to a villain in “Iron Man 2” for a reason. • The entire Stallone family—Sylvester, his mother Jackie, his ex-wife Brigitte Nielsen—deserve a family discount for all the work they’ve had done. • Donatella Versace, Gianni’s sister who heads the Versace brand grows more blonde, tanned and pouty by year. • Lara Flynn Boyle, slender actress from “The Practice,” can barely hold up her now-hefty lips that go with her crease-free forehead. • Hunter Tylo, soap star, is “(The) Bold and (the) Beautiful” no more. 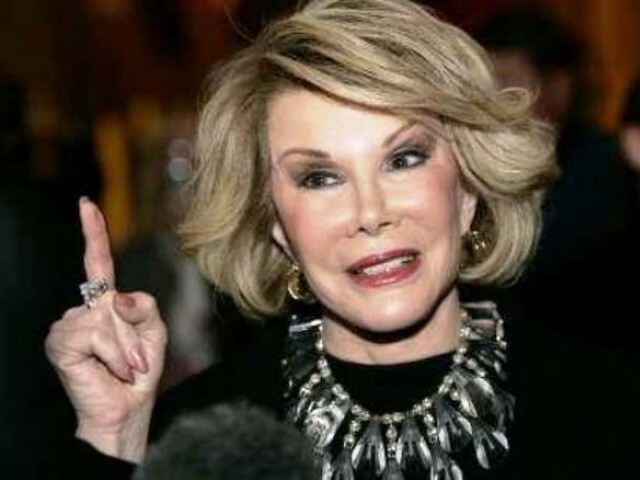 • Joan Rivers, E! host, is virtually unrecognizable from the photos of her youth. • Dolly Parton, country western star, has had repeated back injuries because of pressure from her massively enhanced chest. • Demi Moore, Hollywood and Twitter star, may soon start looking younger than her daughters Rumer, Scout and Tallulah. • Cher, Grammy winning singer “believes in life after”…plastic surgery (not “love”). • Heidi Montag, reality TV personality, changed her looks from a typical Californian girl to a typical Californian bimbo. • Nadya Suleman aka Octomom, reality TV star, could play Angelina in a low budget movie with her eerily copycat-Jolie features. • Narrowed noses: Angelina Jolie, Sandra Bullock, Scarlett Johanssen, Gisele Bundchen, Kate Moss, Blake Lively, Jennifer Aniston, Natalie Portman, Halle Berry, Cameron Diaz, Salma Hayek, Kate Hudson, Tyra Banks, Zac Efron, Shia Lebeof, Hadiqa Kiyani, Stacy Ann Ferguson aka Fergie of Black Eyed Peas. • Hooks removed from nose tips: Patrick Dempsey, Ryan Gosling, Calista Flockhart. • Ears pinned back: Brad Pitt. True, but that doesn’t excuse you for saying something dumb. As far as “criticism” goes- well, “subject matter” is hardly something that can be criticized most of the time. If you had said something about her style of writing, grammar, tense, etc. then it might be “criticism” in any sense of the word. Instead you whined that someone isn’t writing something you’re interested in. @soup: wake up and smell the coffee. Girls are already growing up with warped self images, whether it’s from their insecure mothers talking about how ‘fat’ they are or watching flat-stomached Bollywood starlets gyrate in music videos with impossibly large, green-contact lend eyes and false eyelashes, breast implants etc. b) realized that ‘beauties’ like Megan Fox aren’t naturally beautiful, noone is. I thought this was fun, silly but its good to read junk now and then especially when its pretty well written. It takes talent to amass trivia such as this and then organise it all and present it so that its …. fun to read. Wow !! Some of those pics on the blog are just frightening. I remember watching a show on Oprah as a kid on those plastic surgery addicts. Was quite freaky! Mickey Rourke I remember reading got disfigured after going crazy and trying his hands at boxing. His nose and face were broken etc. What a shame the author (supposedly) is so sensitive to criticism.. This is a public forum and we have the right to criticize and that’s what YOU gave us by blogging here, Ms. Khan.